The Artist struck cinemagoers with a bold take on the history of silent cinema by telling a stylised version of the arrival of dialogue-driven ‘talkies’. 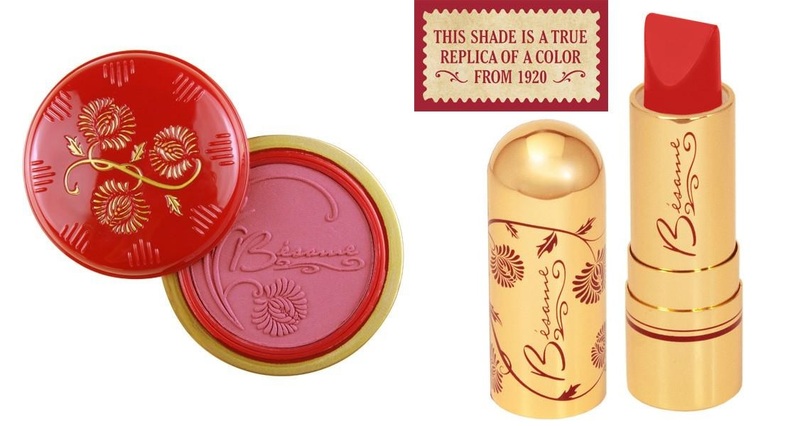 Watch closely and you might just catch a glimpse of a tin of Crimson Rouge make-up, which is actually made by modern vintage cosmetics brand Bésame Cosmetics. Vintage enthusiast Gabriela Hernandez moved to the U.S. from Buenos Aires and was fascinated by her grandmother’s beauty routine. After studying a fine art degree from the ArtCenter College of Art and Design in California she became a photographer, art director and the published author of Classic Beauty: The History of Makeup. The reference book chronicles historic trends for the eyes, lips and face and reviews each decade from the 1920s to today. Vintage ads form part of a range of cosmetic-based visual culture. Detailed make-up application guides join profiles of famous make-up innovators, connoisseurs and iconic faces. Over 450 images, timelines, and detailed vintage color palettes show the changing definitions of beauty and document makeup innovations like the first mascara, lipstick and eye shadow that have evolved throughout the history of cosmetics. Hernandez finally developed the beauty brand of her dreams in 2004 by combining historical details with long-lasting quality. She wanted Bésame to bring romance back into the makeup industry, allowing women to feel excited and passionate about their own beauty rituals again. Now you can shop the stunning range at Sephora. “Through a keen eye for color and historical expertise,” said the brand, “we recreate modern reproductions of classic luxury makeup from the 1920s, ‘30s, ‘40s, and ‘50s that are designed to make women feel elegant, inspired and empowered by their beauty.